If you ask me whether UV sterilizer is a ‘must have’ item for your aquarium then I would probably say no. But does it have benefits and perks? Certainly yes, if you select it properly! In fact, finding the best UV sterilizer for aquarium can be a bit intimidating for you if you aren’t sure about the key technical and operational features a standard UV sterilizer offers. 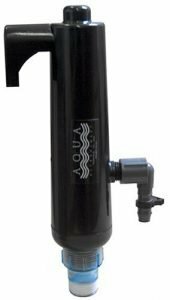 Eliminate Harmful Microorganisms: A UV sterilizer has the ability to destroy all potential bacteria and microorganisms like algae spores out of your aquarium. Biological or mechanical filtration cannot thoroughly purify your aquarium from these harmful bacteria, virus and pathogens. But in this case, a UV sterilizer can efficiently destroy all of those harmful organisms out of your aquarium water. Keep the Water Clean and Transparent: Sometimes the water inside your fish tank becomes green and significantly reduces its transparency and cleanliness. This happens due to the unwanted bloom of algae in the tank. In that case, a UV sterilizer can remove this cloudy condition and make your aquarium water absolutely crystal clear within a short period of time. 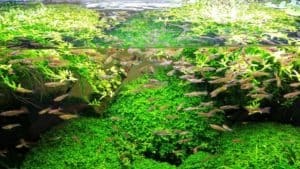 Stops Production of Floating Algae: One of the most struggling issues for keeping an aquarium is dealing with mass production of algae. Oftentimes after wiping out their existence, they keep producing on the water and make it harder for you to frequently remove their existence. In that case, a UV sterilizer can ultimately stop their production cycle and make your aquarium completely free from any potential algae in the future. How to choose the best UV sterilizer for my aquarium? How does a UV sterilizer work? How much does a UV sterilizer cost? Does UV sterilizer require any maintenance? Capacity: This sterilizer is suitable for aquariums consisting of 250 or fewer gallons of water. If you own a mid or large size fish tank, this sterilizer can be the best option for you. 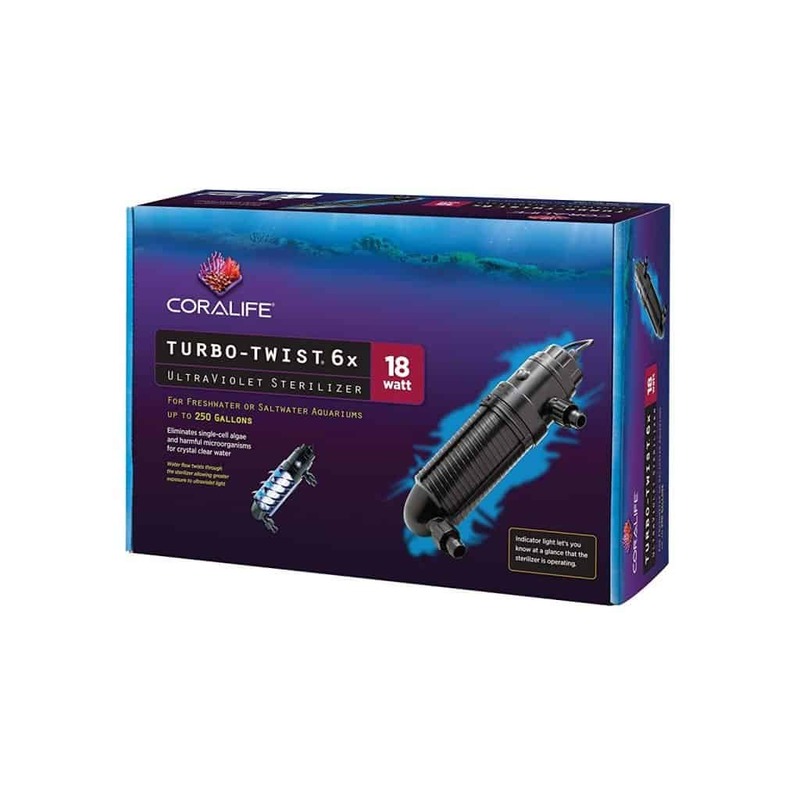 Core Functionality: This powerful sterilizer has been designed to effectively rescue your aquarium from all kinds of unwanted algae and bacteria by eliminating their existence and production cycle. You will be worry-free about its efficiency over destroying harmful substances out of your fish tank. UV Capacity: The sterilizer has been designed with a twist flow technology that ensures powerful ultraviolet lighting against potential bacteria to effectively eliminate them. Besides, this will provide more optimized water flow that will go through the sterilizer. Flexibility: You can use the sterilizer on both saltwater and freshwater condition inside your aquarium. Unique Features: You will get an indicator light with the sterilizer that will let you notify the whole time while it is operating. Capacity: This sterilizer is ideal for aquariums up to 75 gallons of water. Besides, you can also install the device on most small and mid-size aquariums that have fresh water in it. Core Functionality: The sterilizer is superbly lightweight and slim that helps it to provide the highest potential ultraviolet filtering inside your fish tank. In addition, this can be easily installed on most of the aquariums out there. UV Capacity: The UV light inside the sterilizer has an impressive capability to filter all your aquarium water within 5 days or less and, therefore, keep your fish tank free from all kinds of viruses, bacteria, and algae. Flexibility: The Aqua UV sterilizer can be used on both saltwater and freshwater condition. However, in the case of freshwater, you can place it on larger fish tanks consisting of water more than 75 gallons. Unique Features: The amazing part is, the device has been manufactured inside the United States which ensures is quality and durability than in the case of Chinese or Asian countries. Capacity: The sterilizer is ideal for aquariums that consist of 50 or fewer gallons of water inside it. The sterilizer is undoubtedly ideal for any small fish tank out there. 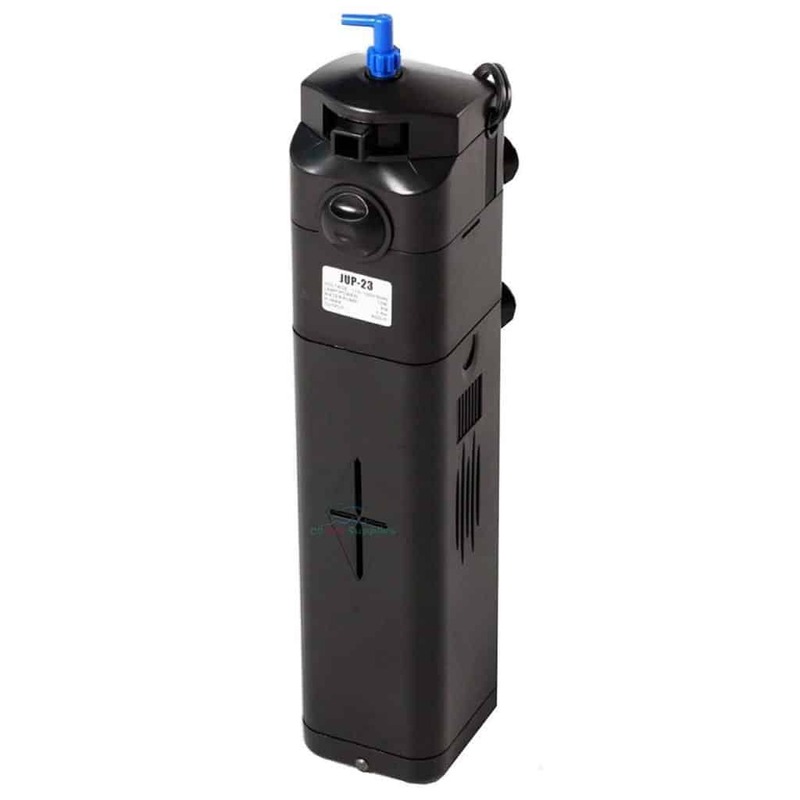 Core Functionality: The sterilizer is powered by a 50 GPH pump that can be installed inside any part of your aquarium. The water flow has been reduced with a certain rate to ensure highest sterilizing performance inside your fish tank. Besides, the sterilizer is powered by an amazing GKM system that can make the aquarium water completely transparent and clean. UV Capacity: The ultraviolet bulb inside the sterilizer can effectively eliminate all the harmful bacteria, algae and viruses out of your fish tank. Besides, it has the capability to ultimately stop the production of any microorganism inside your aquarium. Flexibility: You can use the sterilizer on both freshwater and saltwater condition. Warranty: The device comes with 3-years of service warranty from the manufacturer. Additional Accessories: You will get one 50 GPH pump and 4 sponge filters with the sterilizer. Unique Features: The sterilizer comes with an easy-to-install feature that can be performed within 10 minutes. Besides, there will be LED signals that will notify you during the appropriate time to replace your bulb. Capacity: The sterilizer is ideal for aquariums consisting of less than 75 gallons of water. You can install it on any mid-size aquariums out there. Core Functionality: The sterilizer is powered by a 13 watt ultraviolet light to ensure consistent water flow inside it. Besides, the device is completely easy to install and requires no extra tubing or pump to efficiently perform its operation. UV Capacity: The UV light inside the sterilizer can ultimately stop the production of any floating algae out of your aquarium. 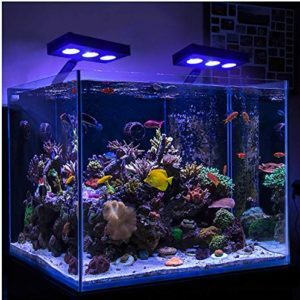 Besides, the ultraviolet lamp is so efficient that it can rescue your aquarium from all kinds of harmful bacteria, and viruses. Flexibility: The sterilizer can be placed both horizontally or vertically inside your aquarium. Besides, you can use it on both saltwater and freshwater condition. Unique Features: The sterilizer also comes with a built-in pump with UV ballast and C-Lamp. Capacity: The sterilizer is best-suited for all small size fish tanks that consist of less than 75 gallons of water. Core Functionality: This easy-to-install sterilizer features powerful ultraviolet filtering inside your aquarium. Similar to the previous one this UV sterilizer requires no extra tubing and can be used to efficiently perform against harmful substances inside your fish tank. 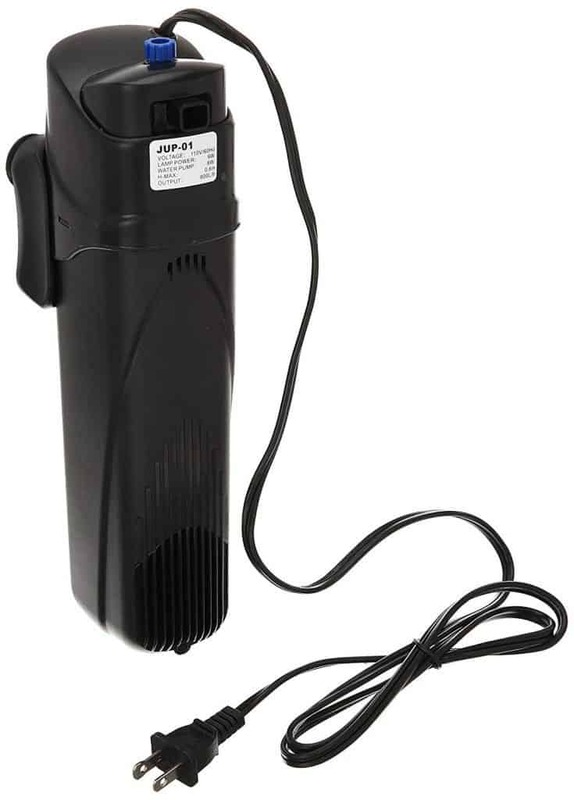 UV Capacity: This sterilizer features a powerful ultraviolet bulb that can easily eliminate all sorts of harmful bacteria and viruses out of your aquarium. 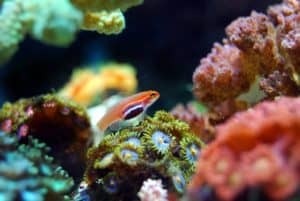 Besides, it also significantly helps to stop the mass production of floating algae out of your aquarium and make it ultimately free from all kinds of microorganisms that can make the water unhealthy for your fish. Flexibility: You can install the sterilizer both horizontally vertically inside your aquarium. Not-to-mention, it can efficiently perform on both saltwater and freshwater condition. Not suitable for larger tanks. Determine the Place: The fact is you can place the sterilizer on any point inside your aquarium. 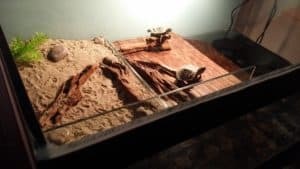 However, if you want to keep it hidden from the eyesight, you can place it behind an air stone or any of the four corners of your fish tank. 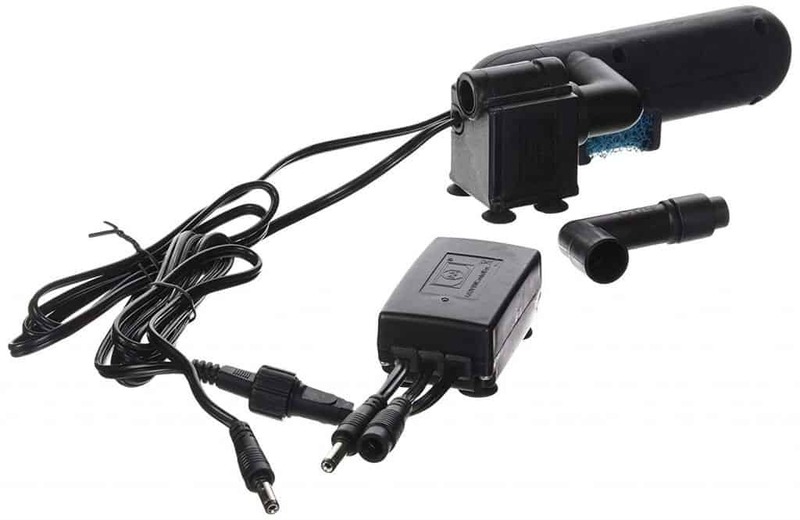 This doesn’t reduce its efficiency as long as it is properly connected with a pump and gets a continuous power supply to run its operation. Connect it with the Pump: Most of the UV sterilizers come with a built-in pump to continually run its operation. 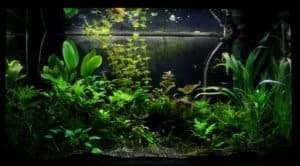 If you have gone through our top-rated list of UV sterilizers for aquarium, you’ll see there are some aquariums that do come with a built-in pump to run water flow through it.However, on the contrary, you will need to install a pump and connect it with the sterilizer to run its operation. You can also place it outside the aquarium, but you should learn all the key instructions from the manual before doing that. Enable the Power Supply: The final part is to connect the power supply that will enable the sterilizer to begin its operation. Most of the aquarium UV sterilizers are very compact and power efficient. They require less electricity than the pond sterilizers that usually require more maintenance and power to run. But aquarium sterilizers are completely different from them. Most of them come with a plug and play feature that allows you to effortlessly install and run it without any technical knowledge. All the UV sterilizers come with a unique capacity attribute that denotes to the number of gallons aquarium in which it can efficiently perform. To choose your sterilizer, firstly you have to determine the approximate gallons of water inside your aquarium. Subsequently, you can look for the perfect sterilizer with the same capacity attribute and also consider whether the other features such as convenient installation or built-in pump comes with the sterilizer. UV sterilizers are powered by an ultraviolet light that eliminates all the bacteria and floating algae that passes through it. The lights are so powerful that it can efficiently remove the cloudiness or unclear condition inside your aquarium. The power of the light depends on the amount of watt it requires to run. More watts denotes to more powerful UV light. Besides, they not only destroy all algae but also ultimately stop their production. UV sterilizers are completely safe for your home and aquarium and therefore they are submersible only stays on the aquarium water prevent it from all sorts of harmful bacteria, viruses and invisible toxins that can become a health concern for your living fish. On top of that, they also make the aquarium water healthy for your fish and keep it free from harmful toxins all the time. The cost of your UV sterilizer will mostly depend upon the size of your fish tank. As we already know all the sterilizers come with a specific capacity that denotes to the efficiency of the UV light. Sterilizers that are made for larger size ponds may cost a bit higher than the smaller capacity sterilizers. To give you an example, a 75 gallons sterilizer can cost you around $35-$50 depending on the features and accessories comes with it. The exciting part is, UV sterilizer doesn’t require any extra maintenance after installation. However, the UV light has a runtime after which it has to be replaced by another one. If you have gone through our top-rated list of UV sterilizers, you’ll see one of them does come with an LED indicator that will notify you when it is the appropriate time to replace the UV bulb. We believe our guide has been helpful for you to get extensive knowledge about some of the best UV sterilizers for aquarium. Besides, we have also provided you with some effective essential strategies and guides followed by some common FAQs to make the overall buying process convenient for you. Thanks for reading the whole post. Stay tuned with us for more info-guides like this. We appreciate your time.